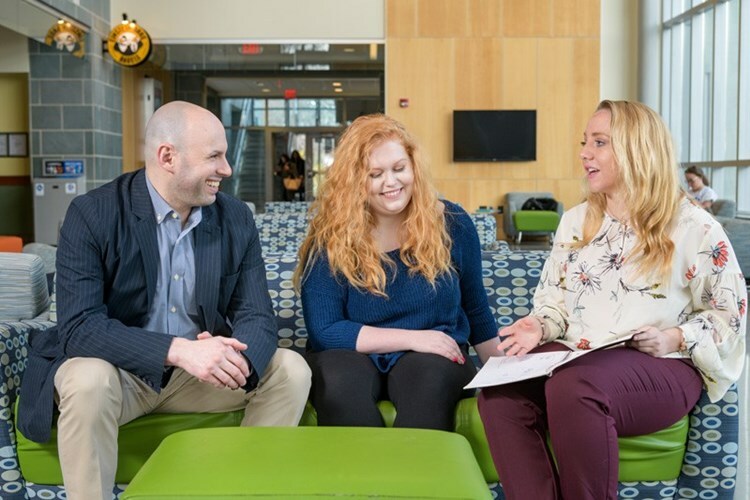 UD Assistant Professor Joshua Wilson (left), with undergraduate research assistants Mckenna Winnie (center) and Ally Raiche. In other words, Winnie had to transform subjective essays into objective data. Winnie had previously collected demographic data as a phone surveyor at UD’s Center for Applied Demography and Survey Research (CADSR), so this type of work was right up her alley.